There really isn’t anything that is safe from being Helverticarised: we’ve had a whole variety of Helvetica themed goodies in the past, from the Helvetica Bike, Helvetica The Perfume: “The Scent of Nothing”, the gorgeous Helvetica Moleskines, Helvetica Wine (designed by WildWildWeb), and a crap load of other Helvetica themed items. The latest item to be branded with Helvetica? The humble wrist watch, although in this case a very non-humble watch by Mondiane. Mondaine is known to many as the official timekeeper of the Swiss Railway system—who are currently working on the The Helvetica Watch, also known as the No.1. The images above are actually renders, but the word is the No.1 Helvetica watches are very real, and will be available for purchase around September. The Helvetica No. 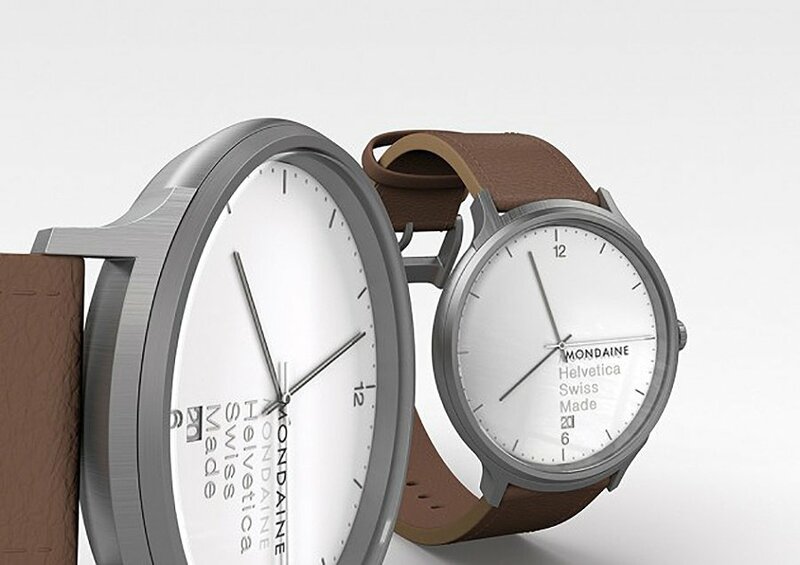 1 Watch by Mondaine will come in five different case sizes, and in three different font weight classes: Light (26 and 38mm), Regular (33 and 40mm) and Bold (43mm). But that’s not it, there are further style variations based on several styles of steel case, including: black, gold and PVD as well as several strap options.